US / 69 minutes / bw / MGM Dir: W.S. Van Dyke Pr: Hunt Stromberg Scr: Bayard Veiller Cine: Merritt B. Gerstad Cast: Lionel Barrymore, Kay Francis, Madge Evans, William Bakewell, C. Aubrey Smith, Polly Moran, Alan Mowbray, Forrester Harvey, Charles Crockett, Henry Barrows, Sam McDaniel, Blue Washington, Landers Stevens. In the train on his way to a consultation with his wealthy client Gordon Rich (Mowbray) on the latter’s island estate, hotshot lawyer Richard Grant (Barrymore)—formerly New York’s DA but now in private practice—is goaded by a couple of fellow-passengers into the admission that, under certain circumstances, he believes murder can be justified. 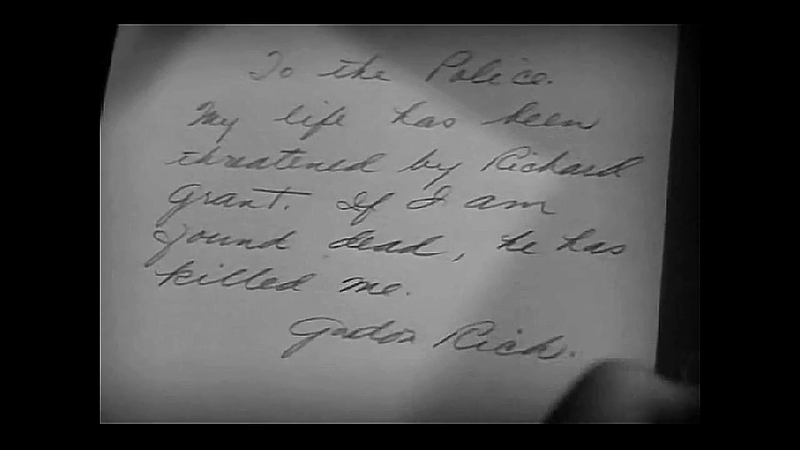 Alan Mowbray as sleazebag Gordon Rich. On arrival, he discovers that his adored daughter Barbara “Babs” (Evans) and her Aunt Maggie (Moran) have already been there a week. Two other things he discovers are that the middle-aged Rich has called him there to arrange for the dispersal of hush monies to his various past overly youthful mistresses—albeit not the sixteen-year-old whocommitted suicide for love of him—and that Rich wants to marry Barbara, despite the great disparity in their years. Worse still, Barbara is dead set on marrying Rich—to the chagrin of young Tommy Osgood (Bakewell), who has for long doted on her while being given the dearest-pal treatment. Madge Evans as Barbara Grant and William Bakewell as Tommy Osgood. Anyone who’s read or watched much by way of mystery fiction will recognize instantly that this is one of those predictions that, while on its face farcically implausible, is going to come true by the end of the drama . . . somehow. 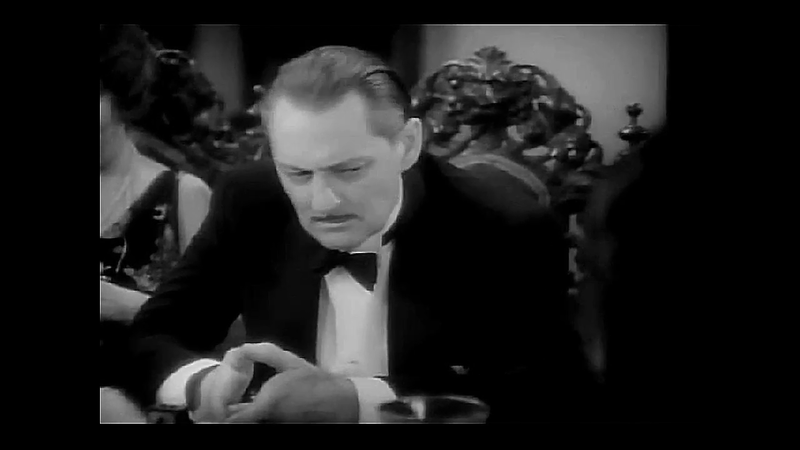 Lionel Barrymore as Richard Grant. 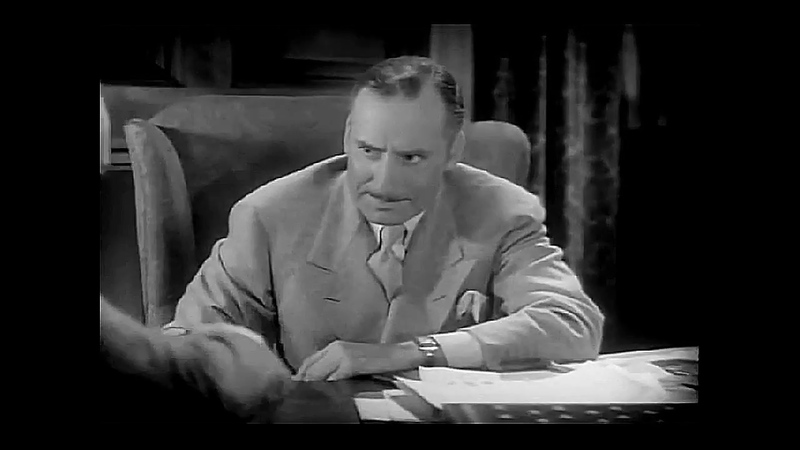 Most of the guests are just there to make up numbers for the cast list—by the end of the movie I had a hard time sorting them out one from the other—but the Reverend Hastings (Smith) is distinct, if only because he has a dog collar and is instantly recognizable as C. Aubrey Smith. 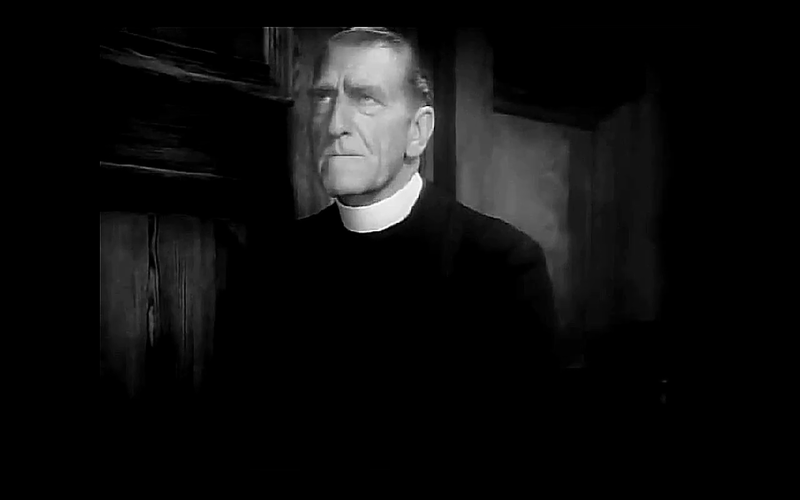 C. Aubrey Smith as the Reverend Hastings. And another of the guests plays a significant part in what’s to follow: Marjorie West (Francis), the lover of Rich who’s remained devoted to him through all the years and tawdry affairs. After Grant has succeeded in murdering Rich during the night—he devises a clever alibi for himself using a gramophone turntable—it’s Marjorie who doggedly sleuths to identify the real killer, a task made all the more difficult because all the other guests assume Grant is the ideal person to play detective. 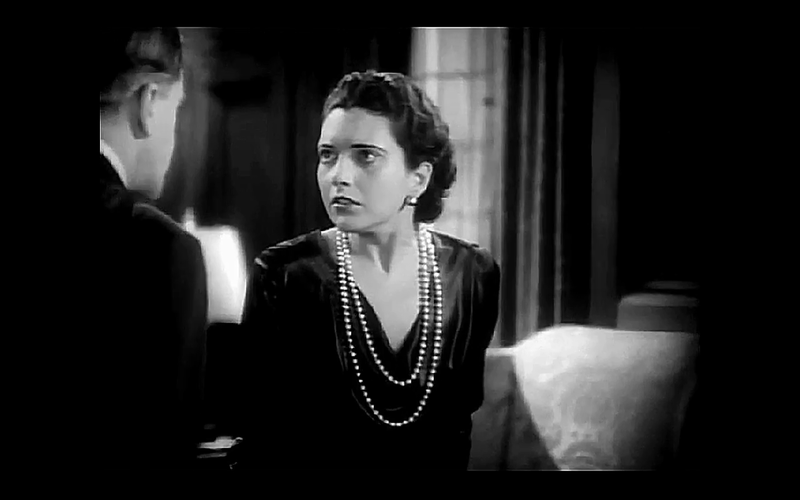 Kay Francis as Marjorie West. The movie seems to have been thrown together with very little affection or even professional pride. The histrionic thunder that punctuates proceedings at regular intervals is obviously fake. Barrymore seems throughout as if he started his day with a liquid breakfast. (In fairness, it’s possible he was showing the effects of the morphine he took to counter his crippling arthritis, and to which he may by now have become addicted.) 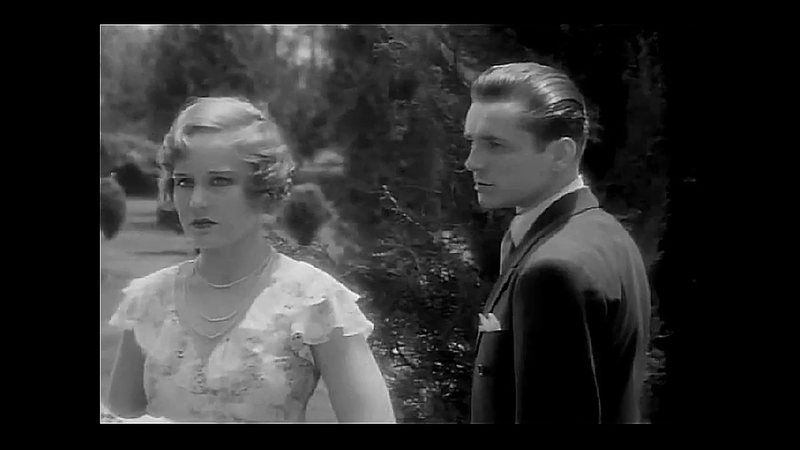 A scene of Barbara and Tommy strolling through the garden is so badly edited that it starts as they stand waiting for their cue. The list could be considerably extended. 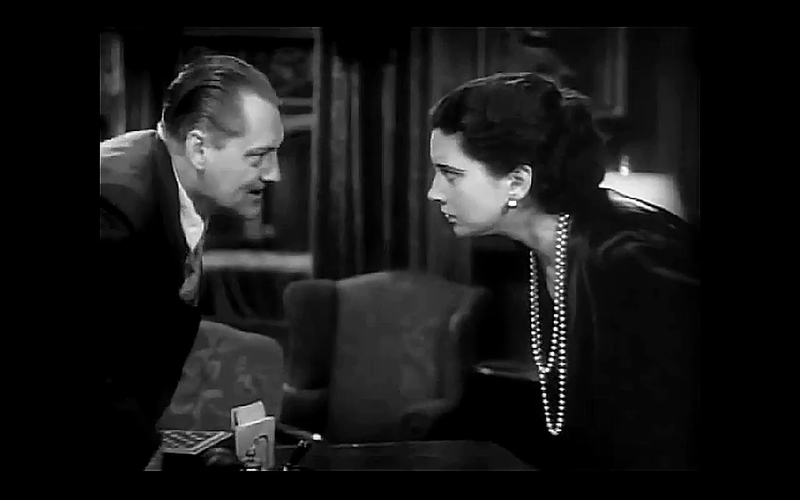 A face-off between Grant (Lionel Barrymore) and Marjorie (Kay Francis). This is a pity, because there’s a germ of a good idea in the screenplay and because Francis brings more than a little commitment to her role as the woman who, though gullible in matters of the heart, is intelligent and resourceful—and more than a match for Grant’s chicanery. As an aside, there’s an almost incestuous edge to the relationship between Grant and Barbara that I found a little unsettling. Perhaps the intention was to show Grant’s fury over the proposed marriage as partly rooted in alpha-male rivalry. 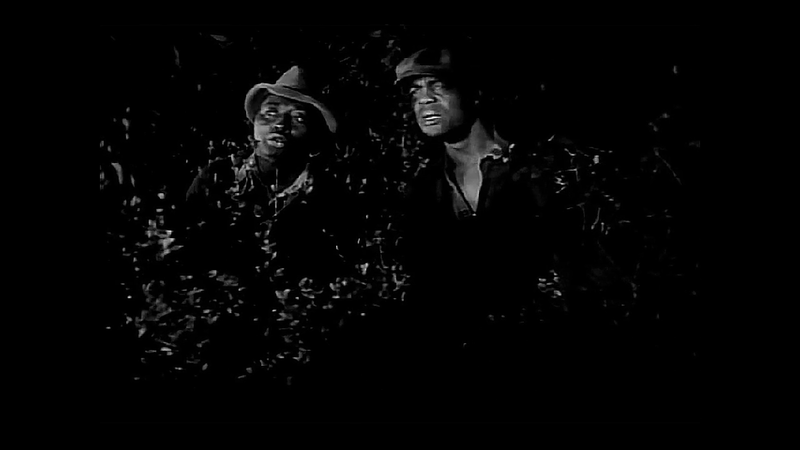 Sam McDaniel as Jimmy (left) and Blue Washington as Johnny, keepimg a night watch on Grant’s isolated bungalow. There are far worse ways of investing a spare hour than in watching Guilty Hands. The gimmick Grant uses to establish his false alibi is genuinely clever, although its effectiveness is stretched way beyond credibility (and my guess is that, anyway, it’d work only if you could set the gramophone’s turntable to 16⅔ rpm, which was indeed possible with some of the early models). The acting laurels go to Kay Francis, as mentioned, but Alan Mowbray’s contribution shouldn’t go unnoticed. 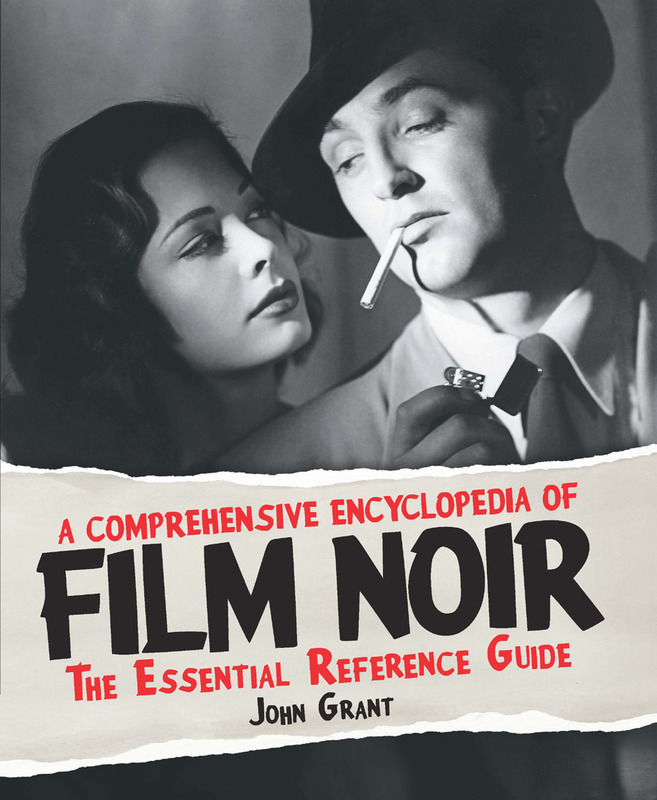 This entry was posted in US Protonoir and tagged Alan Mowbray, Blue Washington, C. Aubrey Smith, Charles Crockett, film noir, Forrester Harvey, Guilty Hands (1931), Henry Barrows, Kay Francis, Landers Stevens, Lionel Barrymore, Madge Evans, Polly Moran, Sam McDaniel, US protonoir, W.S. Van Dyke, William Bakewell. Bookmark the permalink. I’ve just noticed that Danny across at Pre-Code.com gives the movie far higher marks than I do: http://pre-code.com/guilty-hands-1931/. So you might find Guilty Hands more worth your time than you may have gathered from my piece here. I dunno . . . Thanks for that link – I’ll take a look. That said, I do trust your judgement on these things! That’s more than I do! I don’t remember when or why I saw this, but i believe it was for the cast — particularly Kay Francis. I share your critique. Perhaps a terribly short shooting schedule did it in. I’d go for that theory too. And, like you, for me Kay Francis was the big draw! Early model gramophones were 78 r.p.m. only and only had about four minutes per side (it’s said John Cage’s 4’33” was supposed to fit on one side of a 78 record). 16⅔ r.p.m. only appeared with long-playing records in the 1950s. It was intended for talking books for the blind. Actually, Grant’s description of what Barbara and Rich’s wedding night will be like sounds like experience. Perhaps his dislike of the prospect derives from more than a mere incestuous edge or alpha-male rivalry behind his hostility. Thanks for the expertise, Roger! I don’t know why I got the chronology wrong: I can actually remember when 78rpm records were still in the shops alongside the newfangled 45s and 33s. Of course, if Barrymore’s gramophone functioned at 78rpm the plot device is even more ludicrous! In the movie it looks to be more like 16⅔. Enjoyed the write-up but probably not one I’ll rush to hunt down thanks. 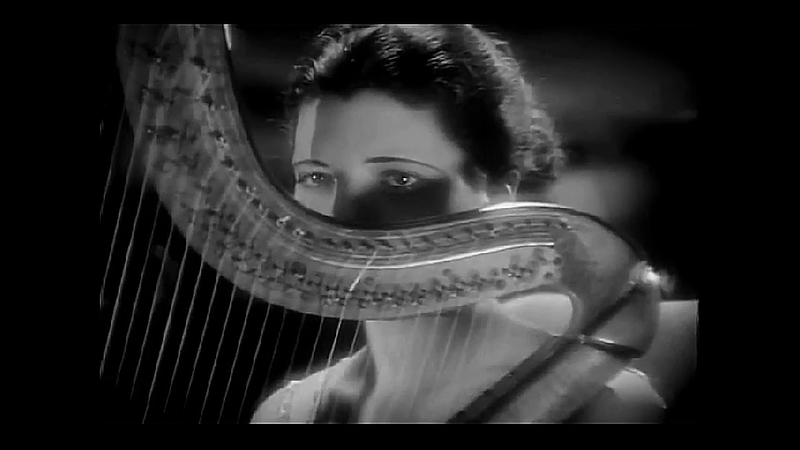 Worth it for Kay Francis, though.